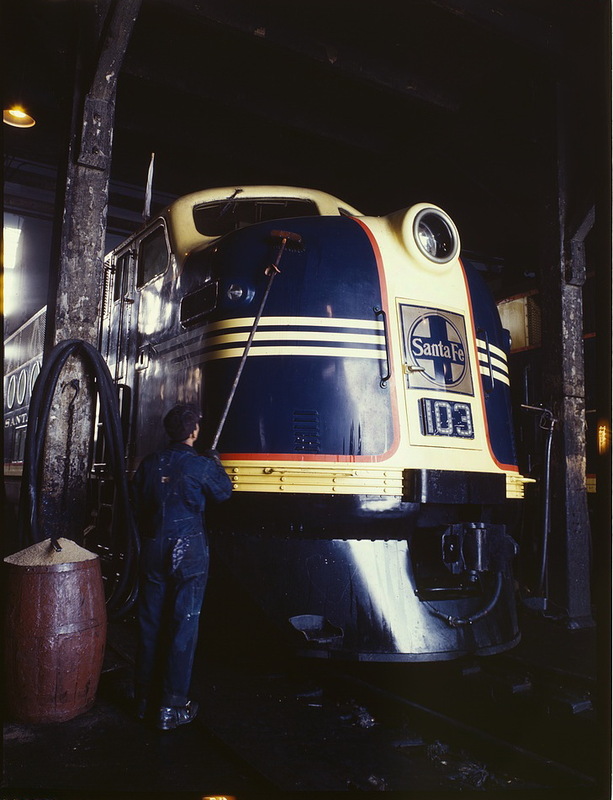 Washing A Santa Fe Railroad 54 Hundred HP Diesel Freight Locomotive. Argentine, Kansas, March, 1943. Photo by Jack Delano.